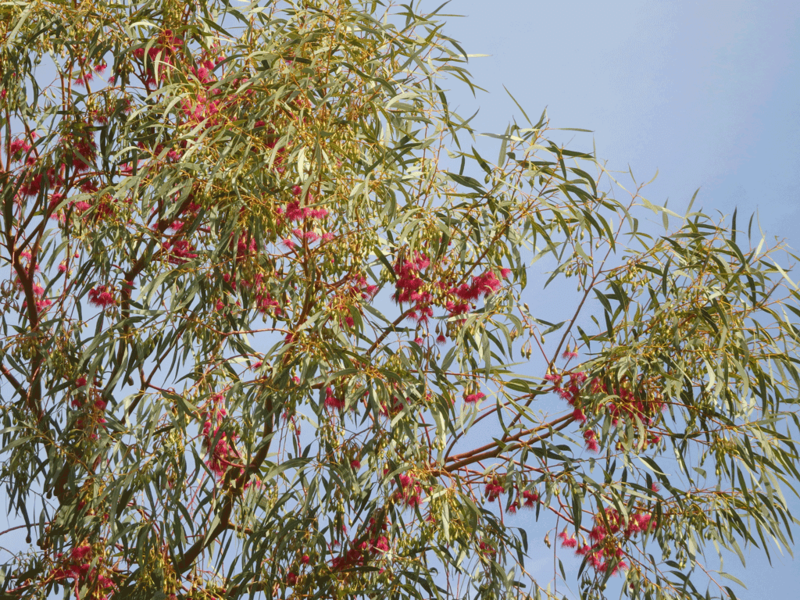 This eucalyptus tree has a smooth trunk which produces a grey coloured bark that is quite flaky. 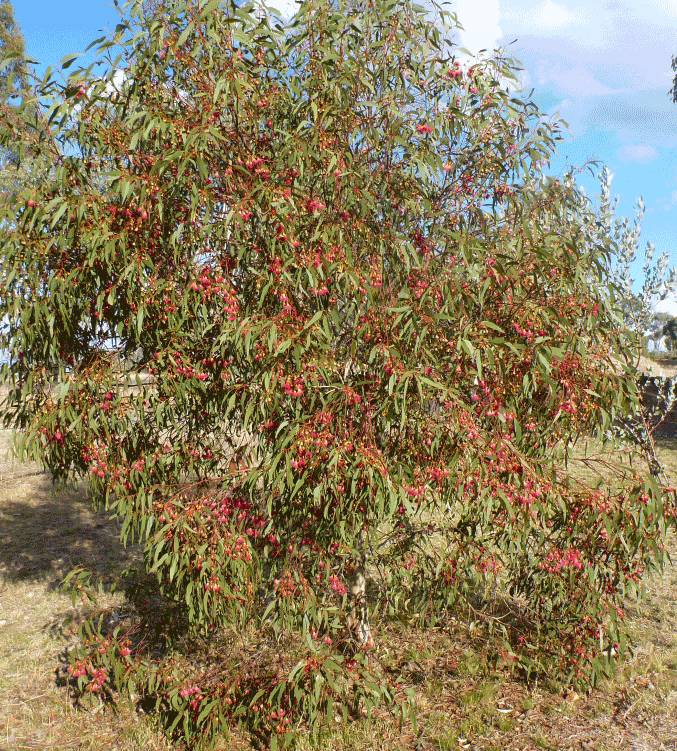 When fully grown this gum has a large open canopy made up of narrow green leaves. 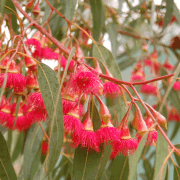 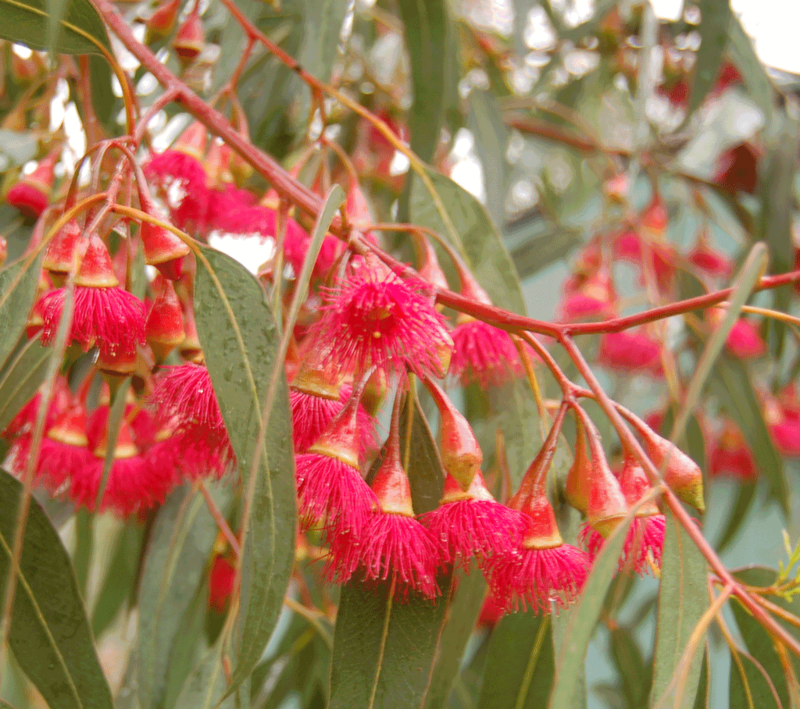 It produces flowers that are red in colour which make for a nice ornamental tree for a courtyard or similar that birds flock to and is also great for making honey. 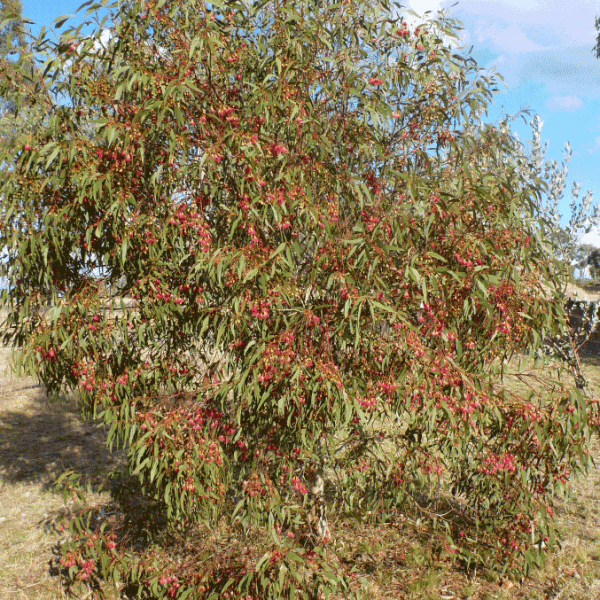 When fully grown, it can be 10 metres tall and 7 metres wide. 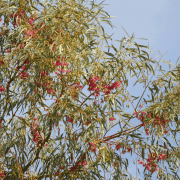 The tree prefers a dry, summer style climate and prefers a well drained soil, but is very tolerant once it has been established.